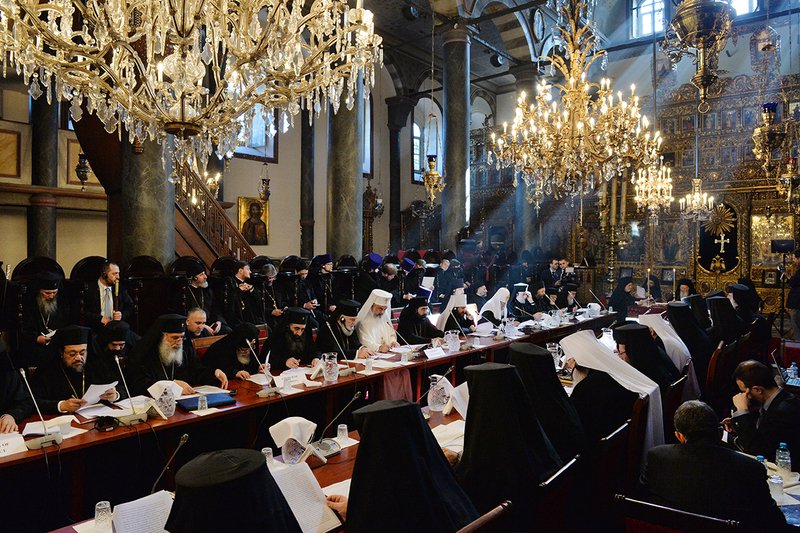 Primates of Orthodox Churches attending the Synaxis at the Ecumenical Patriarchate made further and detailed discussions on the proposed plan to organize great Orthodox Synod in 2016. As per the reports the number of Bishops attending the Synod from local Orthodox churches will be 24 instead of 20. The seating of Primates during the Great Synod was also taken under discussion where the ecumenical Patriarchate confirmed that all Primates will be seated at same level without any distinction. Patriarch Kirill expressed his concern over certain Islamic elements added to the great and historic Church of St Irene were the second Ecumenical Council was held, now serves as a Museum in Turkey. Ecumenical Patriarch Bartholomew responded that large mosaic cross dominates over the sanctuary and it still has several elements of an Orthodox Cathedral. The unified message of the Primates will be read at the Divine Liturgy which will be held on 9th March 2014 on the Sunday of Orthodoxy.